TSI donates 100 books to Easter Seals Child Development Center of Northern Virginia - Transformation Systems, Inc.
TSI team members stopped by the Easter Seals Child Development Center of Northern Virginia in Falls Church to spread the message: Leaders are Readers. 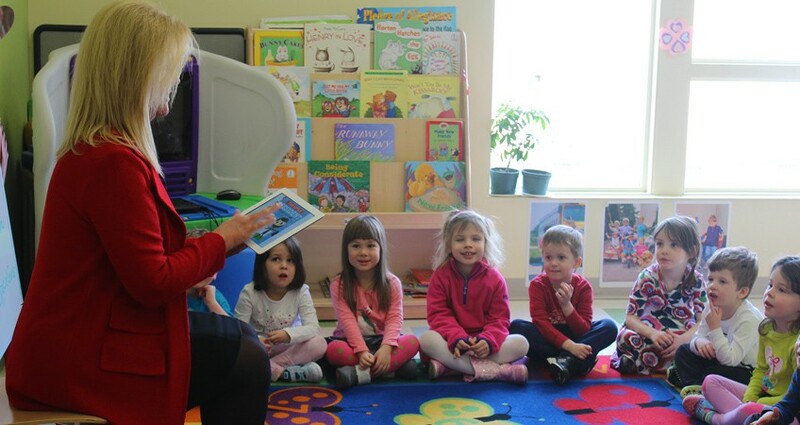 Children in two of the preschool classes enjoyed a reading of This Little President: A Presidential Primer from TSI CEO Marta Wilson. Each student received a coloring book and stickers about the Presidents, and TSI also donated 100 books to the child development center. For more details visit: http://www.easterseals.com/DCMDVA/whats-new/marta-book-signing.html.